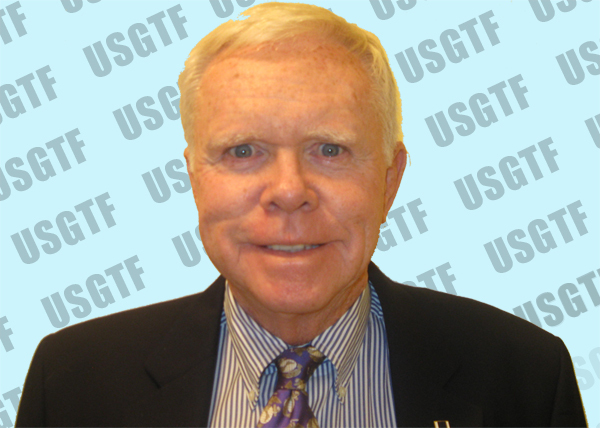 Bill Kroen is a longtime USGTF member who resides in Stuart, Florida. He is the author of the national bestselling “The Golf Tip A Day Calendar,” which has sold over a million copies. In addition, Kroen is the author of several other national bestsellers including Golf; How Good Do You Want to Be; Golf Dynamics; The Wide Book of Golf; and, So, You Think You Know Golf. Kroen has a Ph.D. from Boston College and has published over 250 articles in major journals and newspapers on the subject of education and golf. His works have appeared in such journals as Golf Teaching Pro magazine, Parade magazine, Golf for Women, Golf Illustrated, and US Golf News. Kroen joined the Marines and became an officer and platoon commander in Vietnam during 1967-1968. Wounded in battle, Lt. Kroen received the Purple Heart, Navy/Marine Commendation medal with a “V for Valor,” the Vietnamese Cross of Gallantry, and the Combat Action Award. In all, he was awarded seven medals for his service in combat. He has been a golf teaching professional since 1986 and we are proud to have him as a member of the United States Golf Teachers Federation.